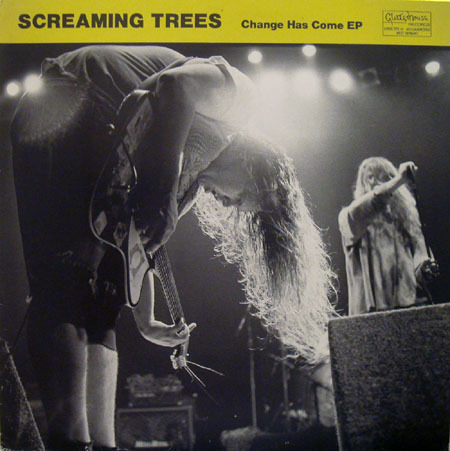 Finally...a 7"!!! 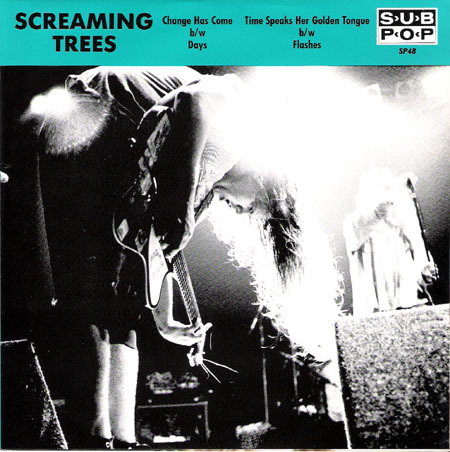 This was Screaming Trees' only release on Sub Pop, a double single in 1989. 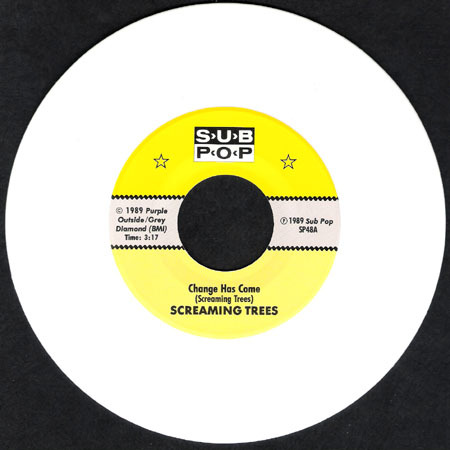 Most copies of this one either contain two black 7"s or one white and one black. Both discs exist on white vinyl, but SP48C on white seems to be slightly more difficult to find. There is a version with both records on red vinyl (~60 were supposedly made). It has always been a really tough find. It took me several years to track that one down. I heard a rumor that there was a double purple copy out there...the test pressing was on purple vinyl. It's possible that's where the rumor started. 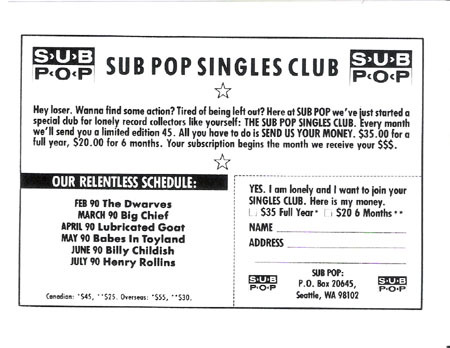 I have never seen one with the Sub Pop labels. 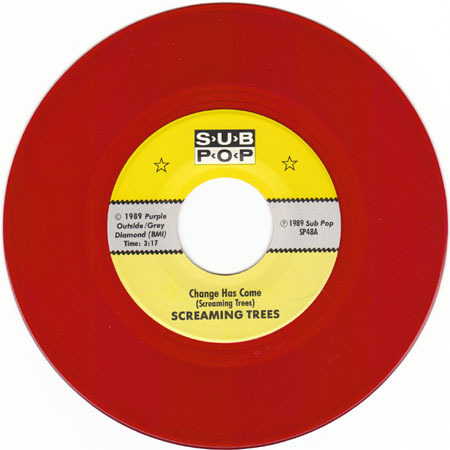 There was also a concurrent German release of this EP on Glitterhouse, but it was a 12" with one extra song (the same track that is on the Sub Pop cd version).